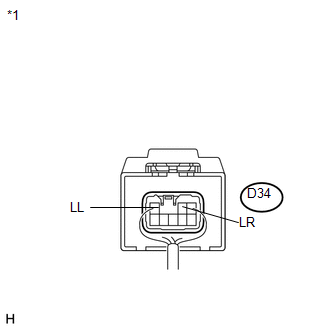 (a) Disconnect the D34 turn signal flasher assembly connector. (d) Reconnect the D34 turn signal flasher assembly connector. (e) Measure the voltage according to the valve(s) in the table below. 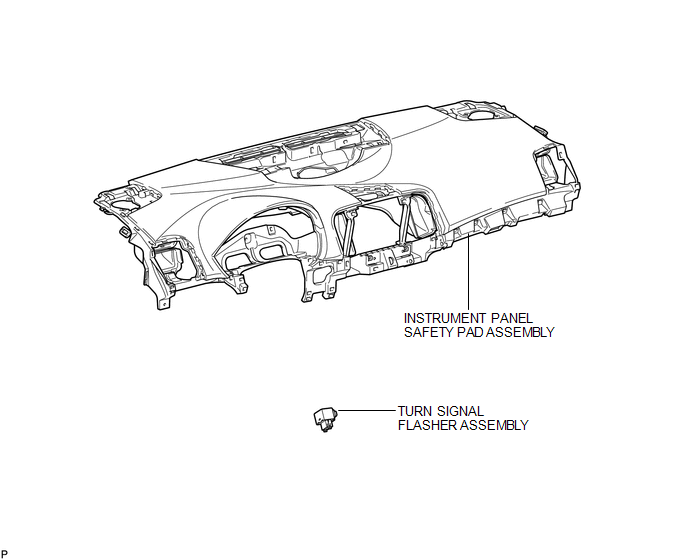 If the result is not as specified, replace the turn signal flasher assembly. 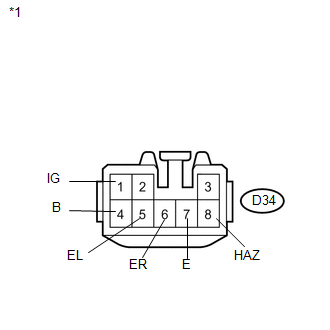 (b) Disengage the clamp and remove the turn signal flasher assembly. (a) Engage the clamp to install the turn signal flasher assembly. 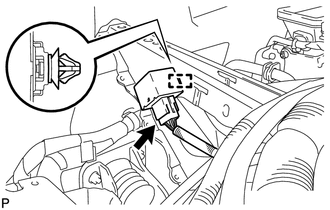 Refer to the procedure from Install Instrument Panel Safety Pad Assembly (See page ).